Seyfarth’s diversity and inclusion efforts are built upon three core strategies: implementing an organizational strategy, strengthening our talent pipeline, and building our internal-external networks. As part of our effort to enhance those internal/external networks, we actively build relationships through personal, professional and social networks; and we demonstrate and support the work of others to drive change in the profession. James Yu, a 13-year Seyfarth veteran working in the firm’s New York office, spent five years as a board member and committee chair for the Asian American Bar Association of New York (AABANY). During that time, Seyfarth leadership tapped James to connect the firm with AABANY members. He did, and then built direct connections between AABANY and Seyfarth, so that the relationship would not end when he left his AABANY post. James’s work as a bridge between Seyfarth and the AABANY benefited everyone. As a firm, we deepened our involvement with the AABANY, strengthening our recruitment pipeline via strong attorney candidates who learned about open positions through the bar group. James, meanwhile, stepped into the national chair role for the Asian Affinity Group at Seyfarth. This is just one example of our firm discovering diverse talent through our attorneys’ networks. We use a range of other programs to create organic connections to affinity bar groups, ensuring the vitality of our internal/external network. Ally Program: Launched in 2016, our Ally Program encourages our partners to work as allies for Seyfarth’s Affinity Groups of which they might not be a member. With guidance from the national diversity and inclusion team, we have tasked our partners with taking at least one direct action per quarter to encourage, support, and further the diversity and inclusion efforts of their colleagues. Client partnerships: Projects and programs on diversity and inclusion, developed in partnership with clients, such as joint law student fellowships and fireside chats with our Triad program alumni. Client advisory program: These strategic planning discussions, in participation with clients, guide and inform our diversity and inclusion efforts. 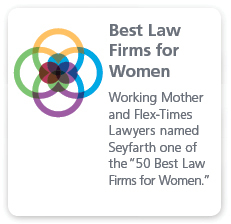 Partnering with minority- and women-owned firms: Seyfarth recognizes the importance of partnerships with minority- and women-owned businesses in the communities in which we work. 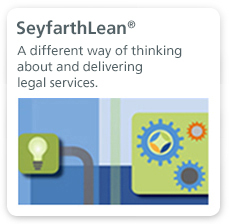 We have created a formal program to enable our attorneys to quickly and easily identify firms that Seyfarth has worked with in the past. 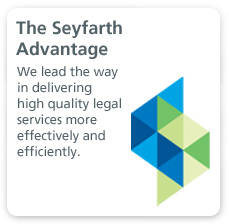 Affinity bar relationships: Each year, Seyfarth supports more than 30 national, regional, and local organizations dedicated to legal diversity. We both financially support and actively lead these efforts to uplift our attorneys through organizational outreach and training programs. Thought leadership: Our executive leaders and diversity leaders are sought-after panelists and authors on issues and solutions surrounding legal diversity and inclusion. Our attorneys are often featured speakers at industry conferences on substantive legal, business of law, and diversity-related topics. As a result, we understand that even “diversity” has diversity. In the past two years alone, our attorneys have written articles for both national and firm-generated outlets about representation of women in law firm leadership, the role of lawyers in marriage equality, the need for employers to move beyond mere ADA compliance, the challenges of intersectionality in our industry, how lawyers can help close the justice gap, and how to bring design thinking into the diversity challenge. Pro bono partnerships: Collaborative firm efforts provide pro bono legal services and support for community organizations with diverse constituents.